Bugs, tar and road grime can cause headlights to become dirty and discolored. In addition, as the exterior of the plastic ages, the plastic headlight covers can become yellowed or foggy. While there are many special products marketed for cleaning headlights, a combination of products you have around the house is just as effective for cleaning headlights. In addition, homemade headlight cleaner is often quite a bit less expensive than commercially available products. Headlights can be cleaned with any type of soap and warm water. 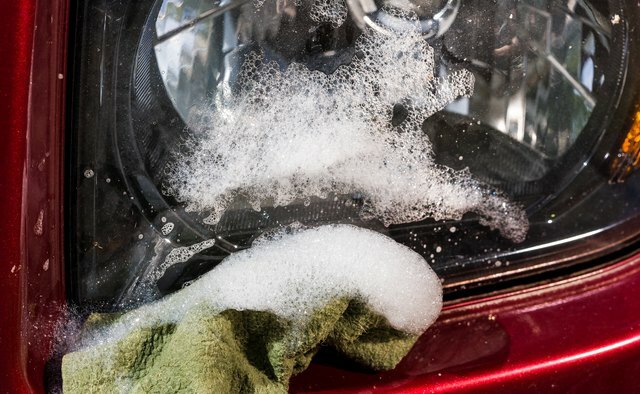 Dish soap, laundry soap or any type of hand cleaner will work well to remove road grime and dried-on bugs. Fill a bucket with warm to hot water and add as much dish or laundry soap as needed to make a bubbly mixture. 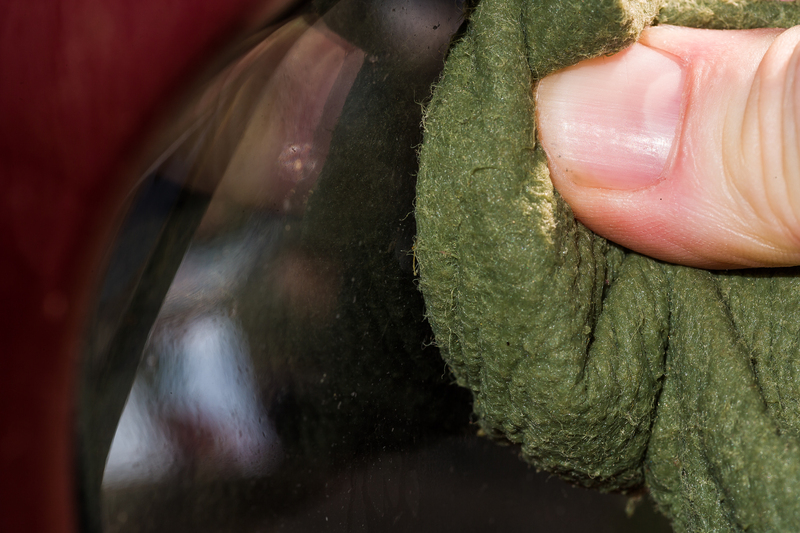 Use a rag to wet the headlights with the washing solution and allow it to soak a few minutes to soften dried bugs, tar and road grime. Scrub with a rag until all the soil has been removed from the plastic. Rinse well. If tar is still stuck to the plastic, wet the rag and scrub until the tar has been removed. Using hot water will help remove tar splatters. Yellowed or foggy headlights can be cleaned with a paste made of baking soda. Mix water with baking soda to create a thick paste. Use a damp rag to apply the paste to the plastic cover of the headlight. Rub with light pressure in small circular strokes to gently buff off the top layer of plastic and restore the clarity of a new lens. If the haze on the headlights is also on the inside, open the hood of the car and remove the headlight lens. Be careful not to touch the actual light, as oils from your hands can cause the bulb to shatter when it heats up during use. Clean the inside of the lens with the baking soda and water mixture. Rinse well and be sure the lens is thoroughly dry before re-installing it in the car.